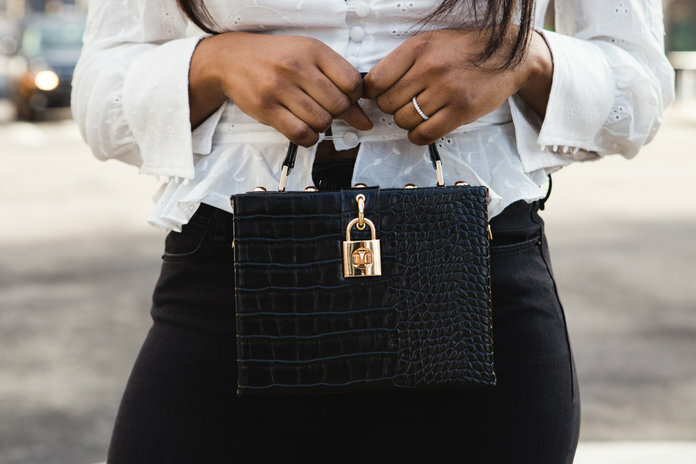 There are few things on this earth more precious than owning a coveted luxury bag. 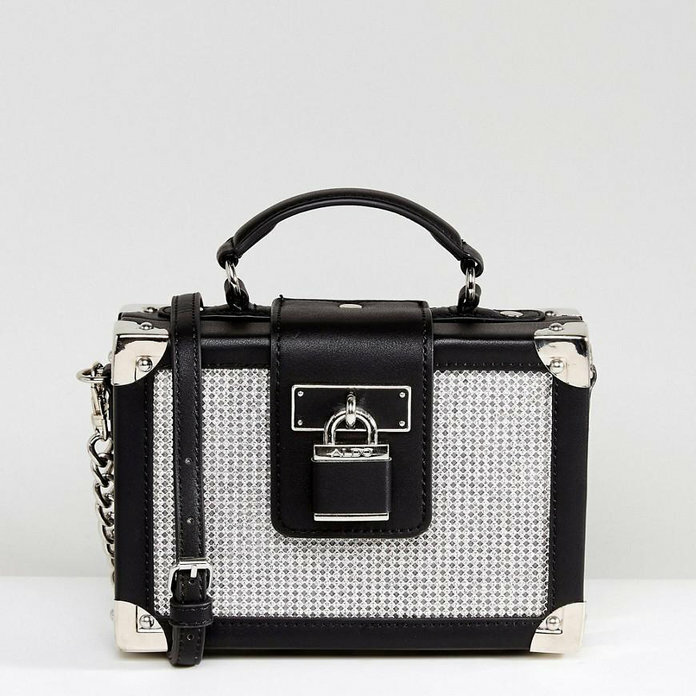 (You’ll be mine one day, Chanel 2.55.) But until I start earning big-girl bucks, I’m always looking for great pieces that won’t keep me from paying my monthly rent. That’s where Forever 21 comes in. I know, I know. 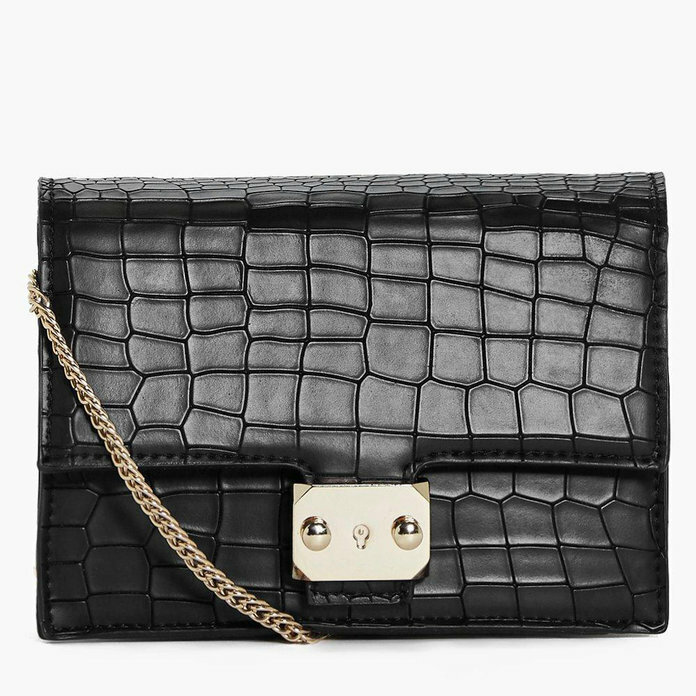 I’m closer to 30 than I am to 21, but I couldn’t resist this faux croc box bag when I first laid eyes on it. It reminds of those miniature purses that Bella and Gigi Hadid are often spotted carrying. You know the chic Stalvey bags? Well, instead of the $11,500 price tag, this one only costs $23. I have carried it every-single day since I bought it, and people will not stop telling me how much they love it. I was even stopped by an employee in the Gucci store! If that’s not affirmation, I don’t know what is. 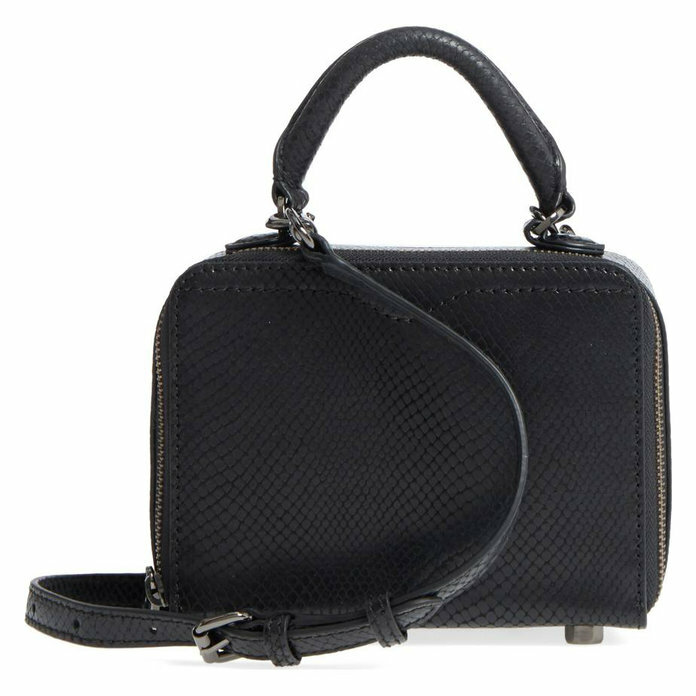 Sadly, my exact bag is now sold out (fast fashion waits for no one), but don’t worry. There are a ton of other brands hopping on the box bag trend, too. Make sure you grab one of these styles in our affordable roundup below before it’s too late. The faux-croc finish on this design gives it a luxurious feel while keeping the price point totally acceptable. This one comes with a long strap, so you can go hands-free. The metallic finishes on this design has the feel of our favorite Louis Vuitton iconic Petite Malle clutch. 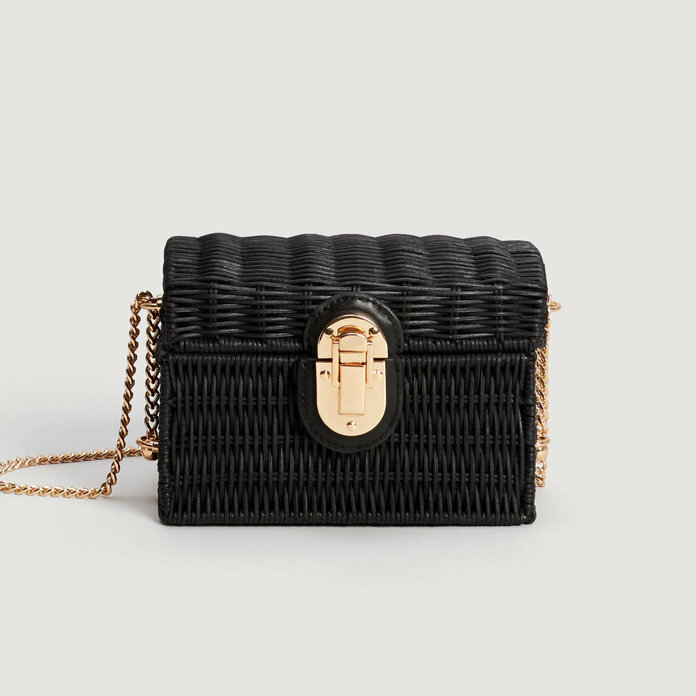 Try out a texture or print on a classic box bag. 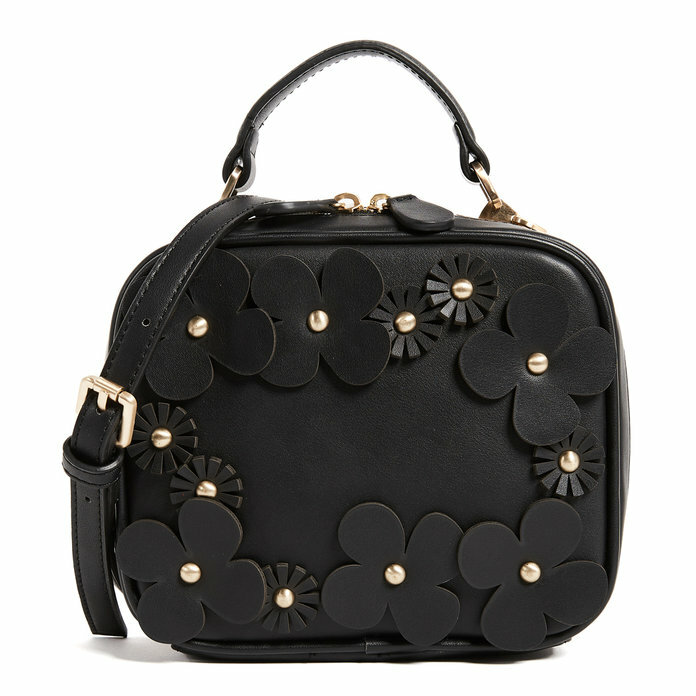 Put a soft twist on the trendy bag with a design that’s decked out in flowers. 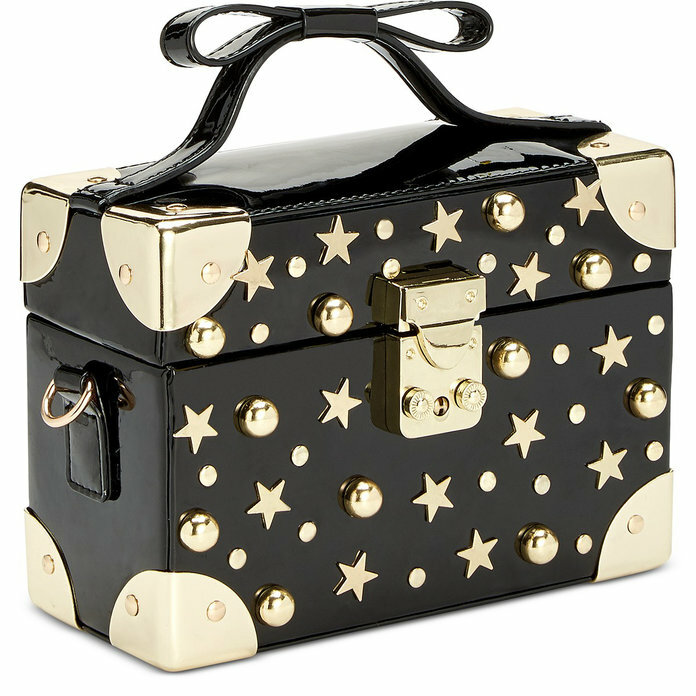 We love the material of this box bag. The bamboo texture makes it ideal for a beach getaway.